Renée Turner is an artist and writer who received her MFA from the University of Arizona and an MA (Hons) in Creative Writing and New Media from De Montfort University. 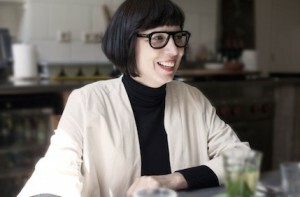 She has been an artist in residence at Skowhegan, the Rijksakademie, and Jan van Eyck Academy. From 1996 to 2012, she collaborated under the name De Geuzen: a foundation for multi-visual research. Parallel to her practice as an artist, she has taught art, theory and design at the Bergen Academy of Art and Design, and St. Joost Academy. She was the former director of the Piet Zwart Institute, and is currently a Senior Research Lecturer at the Willem de Kooning Academy. She is also a Ph.D. supervisor for the PhDArts programmme at the Royal Academy of Art (KABK) in The Hague. Recently, she was awarded a Start-up Grant from the Creative Industry Funds, and a two-year grant for established talent from the Mondriaan Foundation to work as an artist in residence at the Castrum Peregrini Foundation..
At the Master Education in Arts Renée Turner is graduation supervisor. Her fields of expertise are: higher art and design education; digital cultures & education; feminist/queer/critical pedagogies; political art and design practices; artistic research and community based practices.